LifeBook UH900, packaged in a very small size with long dimension of 20.4cm and 10.65 cm wide, feels like holding a purse in the hands of users. 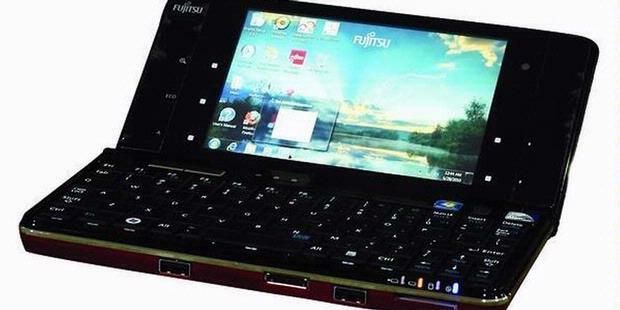 Fujitsu's new gadget is also available in various colors, adjust the taste for lifestyle users. Fujitsu also aware of the advantages of miniaturization which combines various features of the futuristic hardware. The result, products in categories LifeBook UH900 series weighing only 500 grams the lightest notebook. Monitor used LifeBook UH900-sized 5.6-inch (14.22 cm diagonal) uses technology that can deliver SuperFine WXGA resolution of 1,280 x 800 pixels. Display crisp and clear monitor was also still equipped with a passive touch technology, allowing users to control Windows 7 with touch. LifeBook UH900 touch screen technology is different from the notebook monitors touch technology in general because UH900 allows users to do multi-touch, zoom web sites or digital photos with your fingers.